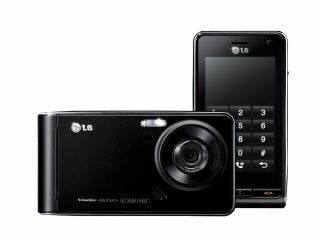 LG has confirmed that it's 'Apple iPhone killer' KU990, dubbed Viewty, is on its way to the UK. It will be available on O2 from next month. The touchscreen LG Viewty KU990 handset features an advanced 5-megapixel camera and is the only cameraphone to offer a manual focus option. The LG Viewty KU990 records video at 120 frames per second. Videos can easily be edited and uploaded to YouTube and social networking websites thanks to the built-in 3G connectivity, LG said. O2 will be offering the LG KU990 under its Viewty nickname. The handset will be available from free on some contracts.